APPROX. 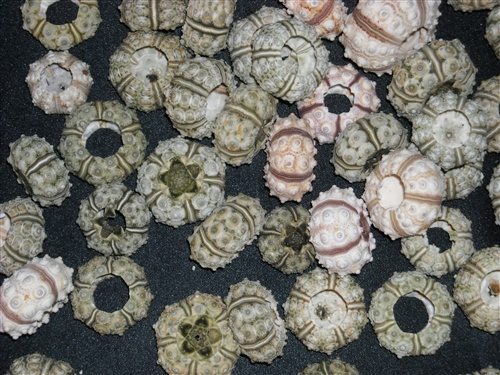 .75 TO 1.50 INCHES....... (TINY/SMALL CRAFT SEA URCHIN). (OUT OF MAUVE COLOR. ALL WE HAVE IS THE GREEN LEFT IN STOCK).